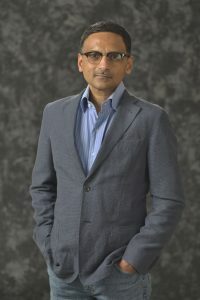 Ravi Rajan is Professor of Environmental Studies at the University of California, Santa Cruz, where he has served since his appointment in 1997. He has also served as Senior Research Fellow at the Asia Research Institute at the National University of Singapore, Visiting Senior Fellow at The Energy and Resources Institute (TERI), New Delhi, and Visiting Professor at TERI University. He received his undergraduate and masters degrees at the University of Delhi and his doctorate at the University of Oxford, and subsequently conducted postdoctoral research at the University of California, Berkeley, Cornell University, and the Max Planck Institut für Wissenschaftsgeschichte, Berlin. Ravi’s research spans environmental history, theory, and policy. It is particularly focused on the political economy of environment – development conflicts; environmental human rights and environmental justice; and environmental risks and disasters. He is the author of many academic publications, and has mentored several doctoral students. Ravi has also made significant contributions to higher education administration. As Provost of College Eight (now Rachel Carson College) at UC Santa Cruz (2006-2012), he did pioneering work designing a “green” curriculum aimed at nurturing environmental entrepreneurs. Amongst the highlights were a novel three quarter freshman core course including an national award winning sustainability field practicum; a popular online learning and teaching portal based on the latest web based interactive technologies; and a series of programs aimed at forging environmental entrepreneurship amongst students. He has held several faculty leadership appointments at UC Santa Cruz, including terms on the Education Abroad Program Committee, the Committee on Planning and Budget, and the Committee on Educational Policy. He also contributed substantially to the reconceptualizing and redesign of the campus’s General Educational Requirements. Ravi has also been rendered distinguished service to national and international academic institutions. He has served as Chair of the Outreach Committee of the American Society for Environmental History, on many of its committees, and as the Program Chair for the Society’s Annual Meeting. He was a founding member of the editorial board of the journal, Environment and History, and currently serves on the editorial board of the journals, Environmental Justice and Society and Natural Resources, and of the book series of the European Society for Environmental History. He has served as a reviewer for the National Science Foundation (USA) and the Economic and Social Research Council (UK), as well as for a number of leading journals and publishers. Ravi has also served a number of civil society organizations. He is currently a member of the Board of Directors of Greenpeace International. His previous public service includes the Presidency of the Board of Directors of Pesticide Action Network, North America (PANNA) ; board service for the International Media Project, which produces the weekly radio news program, Making Contact; membership of the city of Santa Cruz’s Green Building Committee, which created the new building code for the city; and Charter Membership of The Indus Entrepreneurs (TiE), Silicon Valley, the world’s largest not for profit organization for entrepreneurs. He co-founded the Bhopal Group for Information and Action, a documentation and information center on the gas disaster, in 1985, and served on the core group of the Indian environmental organization, Kalpavriksh, during the 1980s. In addition to his scholarly work, Ravi also writes periodic essays in the popular news media, and while not working, he is passionate about Cats, Cricket, and Hiking. He is also a certified yoga instructor ( RYT 200 ) and affiliated with Yoga Alliance, USA. Ravi is married to Priya Rao Rajan, a software engineer and classical vocalist, they have three children – one human and two feline.